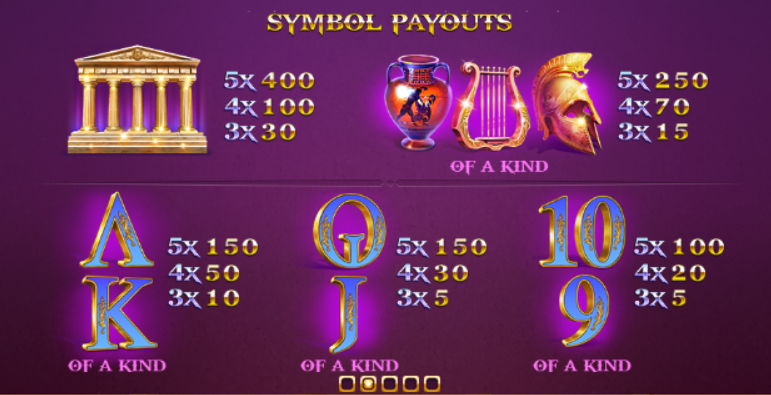 Playtech’s range of online slot machines themed on Greek gods and legends becomes more extensive with each passing month and here we present Age of the Gods: Ruler of the Sky, a game based on the mythical pegasus and it comes with free spins an progressive jackpot chance. 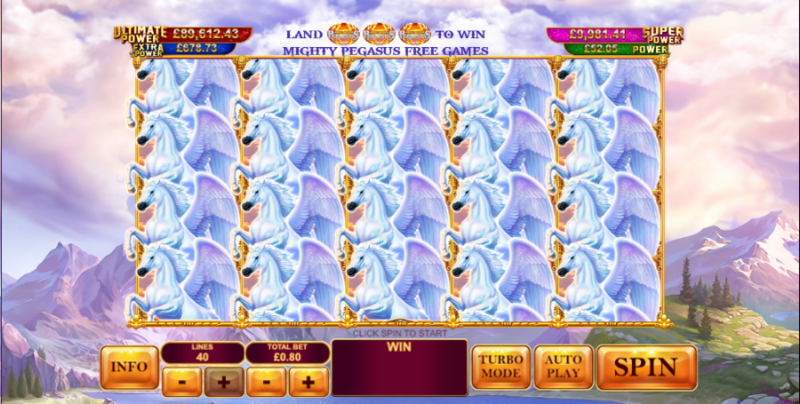 Age of the Gods: Ruler of the Sky is a five reel slot with four rows and forty fixed paylines; the soundtrack cranks up the tension and the gameplay takes play on a set of golden reels which float against a backdrop mountains, lakes and fast-moving clouds. The high value symbols include a temple, a vase, a harp and a golden helmet; 9, 10, J, Q, K and A represent the lower values. 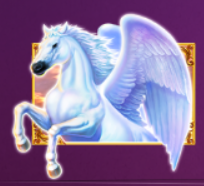 The pegasus is of course wild, it can appear stacked and it will replace all others to help form winning combos except for the the scatter symbols which is the logo of the game. This is triggered by landing three of the scatter symbols anywhere on reels two, three and four; you’ll only get five free spins but these can be retriggered an unlimited number of times by landing more scatters and in addition more wilds will be on the reels during this round. Ruler of the Sky is a playable enough addition to this range of games but it seems to lack a little of the creativity present in some of the other slots; another drawback is the rather low RTP of 91.04%.